If you’re reading all the articles on Paris’ terror attacks, add this Facebook post to your list. In the wake of the terror attacks on Paris on Friday, the world has begun to band together to mourn the 129 killed. Cities have lit their skylines with the French colours as a show of solidarity, while many on social media are sharing their experiences and views on this horrible event that has once again struck fear into the heart of citizens around the world. But in the wake of these attacks, one Singaporean has stepped up to say what many have avoided to address: that these attacks were caused by a Muslim organisation, and calls on the Muslim community to confront the problem head on. The post by Sulaiman Daud was initially made private on his Facebook wall, but discussed on local blogger Jeraldine Phneah’s blog, where she referred to him as her “Muslim friend”. Since then, the Facebook post has been made public and has since had over 12K shares on Facebook. It has sparked discussions all over the social media platform amongst Muslims and non-Muslims alike, with many praising Sulaiman Daud for daring to address the elephant in the room. The increasing occurrence of large-scale terrorist attacks has prompted many to speak up for the Muslim community in an attempt to show the world that the radical and dangerous are a small minority in the large Muslim community. 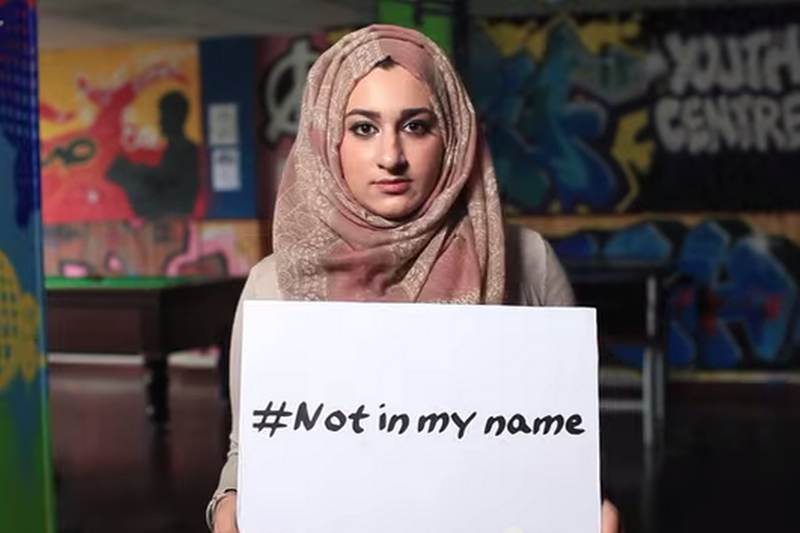 On social media, the hashtags #MuslimsAreNotTerorist and #NotInMyName are going viral, with Muslims taking a stand to condemn the latest acts of violence. As the Muslim community, including Singaporeans like Sulaiman Daud speaks up, it opens doors to conversations we can begin to have. 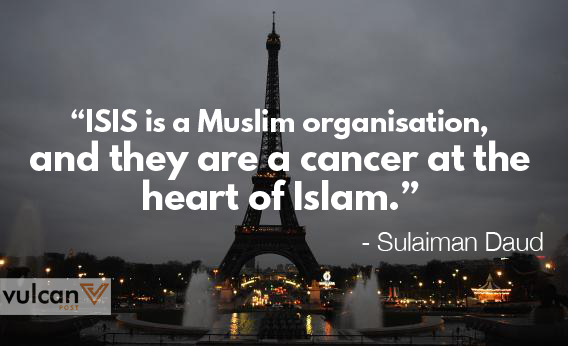 As a non-Muslim myself, it can be difficult to talk about ISIS. We all have Muslim friends who are kind, intelligent, and virtuous, who we would defend to never have a bomb strapped to their chests. In Singapore, we have a strong Muslim community that we value and honour, and it’s difficult and uncomfortable to think that something terrible could sprout from that peaceful community. But it is that very discomfort that should make us realise that Islamic radicalism is not something we can ignore. We’re itching to help, to bring some action to this sense of helplessness, but we’re not sure what to do or what to say. Sulaiman Daud says in his post that: “We have to own the problem. We have to admit that this is a religious problem, and we need to renew our commitment to a secular country which treats all religions equally.” Perhaps that’s where we should begin.